"An amazing book - exactly what countless parents in our globalizing world have been looking for! As more and more bicultural and bilingual families form, the issues Virginie Raguenaud addresses become increasingly urgent. 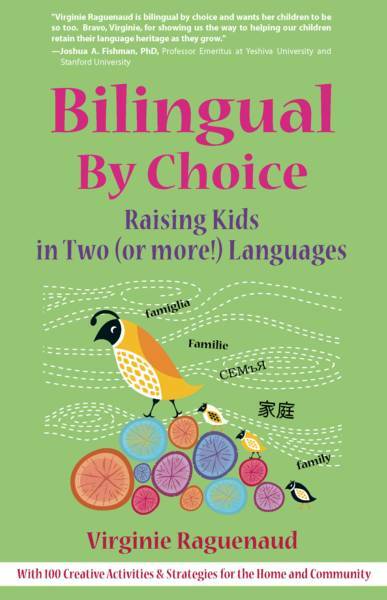 Not only does she dispel common anxiety-producing myths, but she also gives clear, practical ways for how parents can help their children develop fluency in each heritage language." "Virginie Raguenaud is bilingual by choice and wants her children to be so too. Bravo, Virginie, for showing us the way to helping our children retain their language heritage as they grow."